CO2 laser tube has a quite extensive application in laser. It is often used in laser marking machine and laser cutting machine. Today, we’re going to introduce several tips to CO2 laser tube for laser cutting machine. CO2 laser tube is composed of carbon dioxide, nitrogen, hydrogen and other gases. The wavelength is 10.6μm laser beam, generating more than 20 kilowatts of power and enabling the continuity of work. In order to avoid bad consequences, we must be careful when we use the CO2 laser tube, because it belongs to gas pipe. There are some tips listed for your reference deriving from our laser. Please connect cooling water; use the principle of getting in from the below while geting out from the top; adjust the position of the outlet pipe, ensuring that the cooling tube is filled with cooling water (there will be no bubble in tube), and then turn on the power. Secondly, use soft water (distilled water or purified water) and always pay attention to the cooling water temperature. The water temperature should be controlled in the range of 25 ℃ -30 ℃. Especially in the summer, once the water temperature is too high, replace the water or pause the cooling. Thirdly, after laser cutting machine shuts down, the cooling water can not be allowed to kept in the laser tube in case of freezing burst. Still don’t know how to properly install the CO2 laser tube? look here! The CO2 laser tube is composed of CO2 gas, nitrogen gas, hydrogen gas, etc., and produces a power of 20 kW or more with a laser beam of 10.6 μm. 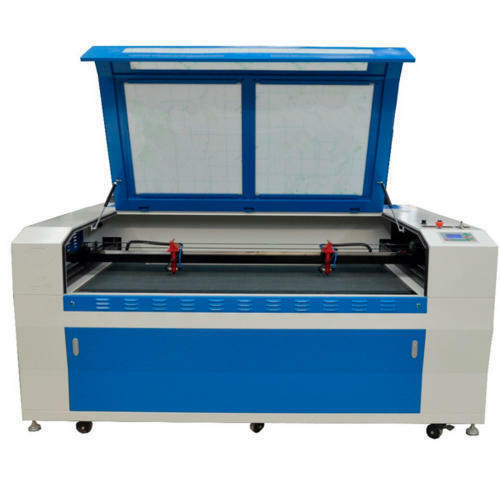 It can realize continuous work and is often used in laser marking machines and laser cutting machines. Therefore, its application is extremely extensive. So, how to install the laser tube correctly? The following four steps teach you to get it! The laser tube is mounted on the back of the machine. The laser tube cover is opened. Two laser tube brackets and two open cover protection sensors can be seen. The cover protection is optional for the equipment (four for each of the dual laser head models). Fasten the laser tube by fastening the belt on the laser tube holder and tightening the screw. Note: Do not tighten the laser tube too tightly to avoid damage to the laser tube. Be sure to keep the inlet port (light outlet end) under the pipe body. After fixing the laser tube, connect the inlet pipe connected to the water protection end to the inlet of the negative end of the laser tube, and the other outlet pipe is connected to the high pressure end outlet of the laser tube, as shown in the figure above. Note: Each water pipe joint should be docked firmly to prevent water leakage. The hose should be straightened and not discounted, so as to avoid water flow. Finally, the laser tube power cable is pulled through the casing threading hole to the laser power source. The positive and negative terminals of the laser tube and the laser power source are connected to the positive and negative terminals. The positive and negative electrodes of the laser power supply are also marked.